WANT TO WIN UP TO $150 IN BC DIESEL CASH? OH, HEY! HOW DO I ENTER THE DRAW? Open Google Maps on your computer and make sure you're signed in. Search for BC Diesel Truck Repair. In the window that appears, click the stars to score a place and write a review. Note: If you're using Maps in Lite mode, you won't be able to add a rating or review. Log into your BC Diesel customer account. At the bottom of the site, under the heading "My Account", click "Orders" - OR, Click HERE. It will take you your order history page. Click in the applicable order(s), and click on the description of each line item you would like to review. This will bring you to the product page for the item. Click on "Add Your Review" or "Be the first to review this product". Leave your star rating and product review, and that's it! You're automatically entered! All company/product reviews must be made by customers that have either purchased product from, or have had repair/installation services performed by BC Diesel. Product reviews written by people who have purchased the product elsewhere, although appreciated, are not eligible to be entered into the draw. 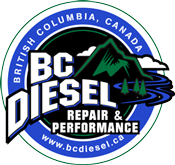 Customers who have purchased product online or have had repair services performed by BC Diesel since January 1st, 2015 can be retroactively entered into the draw. For customers who have left company/product reviews prior to October 1st, 2015, please e-mail the BC Customer Support Department your order number/customer name/google review link and we will manually add you to the contest list. The applicant must be a Canadian resident with a valid email address and be the age of majority at time of entry. Gift cards are not transferable or convertible to cash. Any monetary value from the gift card remaining after purchases will remain in your customer account profile to be used for future purchases. Applicants who have entered the contest but yet did not win within that particular month of application are still entered for future month drawings. In other words, just because you did not win a gift card in the month that you submitted your review(s), doesn't mean that you could win a future month's drawing. There are absolutely no expiry dates on the gift cards. If we're still around in 50 years, then you can still use that gift card to buy a performance-tuned dilithium crystal array for your 2065 Ford Powerstroke ±14³Litre Space vehicle. The monthly winners' first name, last initial, and city/province will be listed in the contest winners table. If you have won a gift card in the google review category, you cannot re-apply to win again. If you won a gift card via the Product Reviews, then your name will be removed from future draws until which time your winning gift card balance has depleted and you have purchased subsequent new product with BC Diesel. Have questions? Contact our customer support department here.